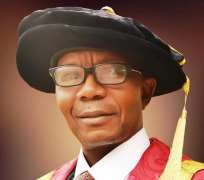 Osun State University (UNIOSUN) has received the approval of the Nigeria Universities Commission (NUC) to commence and offer 18 additional undergraduate and postgraduate programmes in the university. The Nigerian Voice confirmed that the letter of approval from the NUC Executive Secretary Professor Abubakar Rasheed was received by the Vice Chancellor of UNIOSUN, Professor Labode Popoola. The newly approved programmes are: B.A Philosophy, B.A Islamic studies, B.A Arabic Language and Literature, B.A Theatre Arts, B.A Yoruba, B.A Tourism studies, BSc Food Science and Technology, BSc Building, BSc Estate Management, M.Sc. Accounting and M.Sc. Finance. Meanwhile, UNIOSUN currently runs 47 undergraduate programmes and 13 postgraduate programmes. All the programmes have NUC accreditation and approval. The new approval brings the total of undergraduate programmes in the university to 56, while the postgraduate programmes now totalled of 27. His words, “the news of our outstanding performance in the recently concluded resource verification of twenty three new programmes by the National Universities Commission is indeed so gratifying and reassuring." "It's amazing how we continue to achieve so much within our context of resource paucity. We shall continue to work with our dedicated and winning team in the task of rebuilding and repositioning our university for even greater achievements".